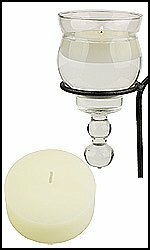 We have a variety of candles that compliment our candelabras. 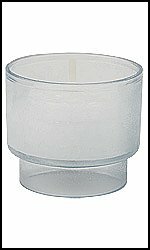 Our most popular are our disposable votives which give you ease of use along with a long lasting flame. 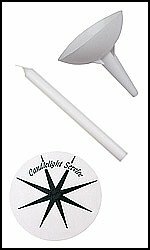 However, we also have congregational candles and pillar candles that work with our equipment. 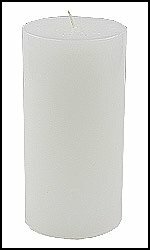 We have a candle for you!